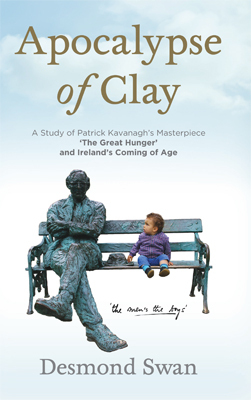 Patrick Kavanagh’s epic poem “The Great Hunger”, published in 1942, is regarded as his greatest achievement. 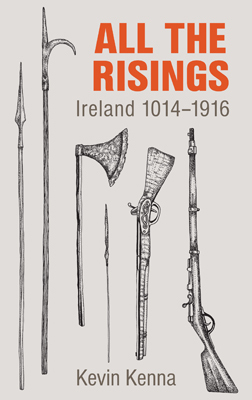 A dark literary jewel, it has moved from at first being virtually ignored by the Irish public, or seen as referring only to small farmers in County Monaghan, to the unique place it now holds in Irish and world literature of the twentieth century. Apocalypse of Clay illuminates Kavanagh’s prophetic insights in this bleak poem, his diagnosis of an emotional malaise at the heart of Irish society itself, which in innocence was disregarded but which would give rise to abuses in Church, society and family that would only come to light two generations later. Over its seventy-one years, the poem, has gained near unanimous critical acclaim, with Seamus Heaney, for instance calling it ‘a masterpiece’. Translated into Greek and in part into Polish, it has been reviewed in Spain, Canada, Germany, Britain and elsewhere, while Tom McIntyre’s adaptation of the poem for the stage was highly successful in Ireland and abroad. There are three narratives in Apocalypse of Clay, those of the poet, of the poem and of Ireland itself. The book explores this great poem’s pivotal significance in Kavanagh’s own development as person and poet, its immense literary quality, and its remarkable psychological insight. The combination of these elements marks “The Great Hunger” out as a milestone in Ireland’s slow coming of age. A full version of “The Great Hunger” will be published as part of the book with the full permission of the Kavanagh Trustees. Desmond Swan was Professor of Education in University College Dublin and Head of Department for twenty-five years, where he established five new postgraduate programmes and travelled extensively as a visiting lecturer. He holds an MA in English and a PhD in Psychology. He was President of the Psychological Society of Ireland, and has published widely in Psychology, education and English Studies.